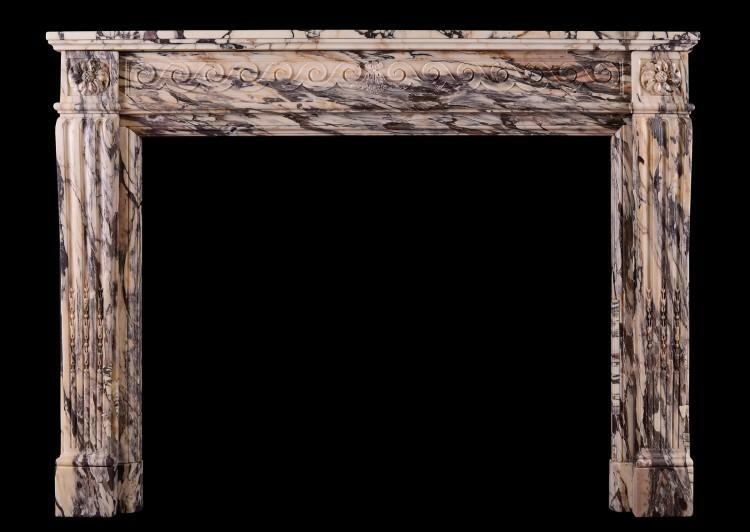 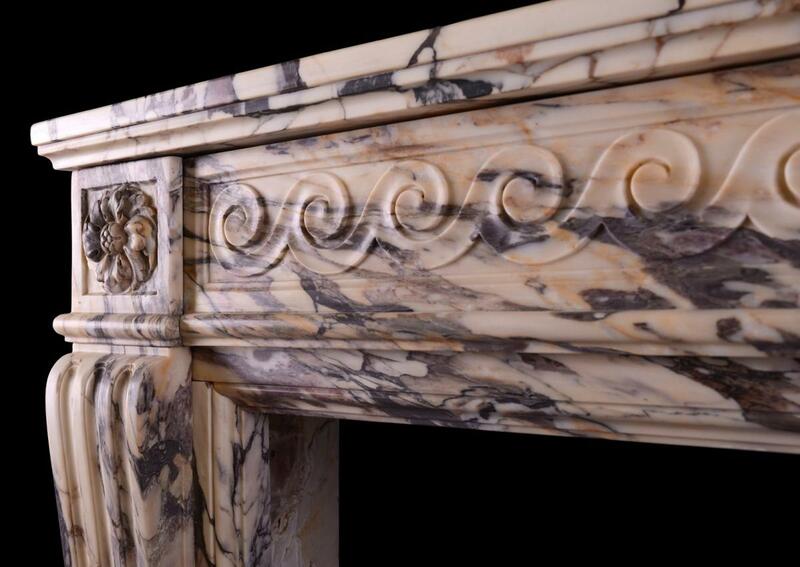 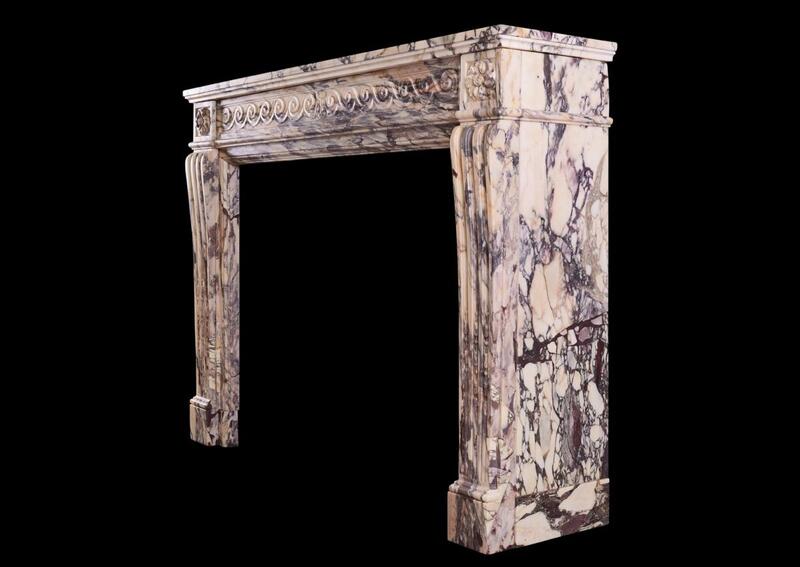 A very fine Louis XVI Breche Violette marble fireplace. The carved frieze with c-scrolls throughout, with carved bellflower to centre. 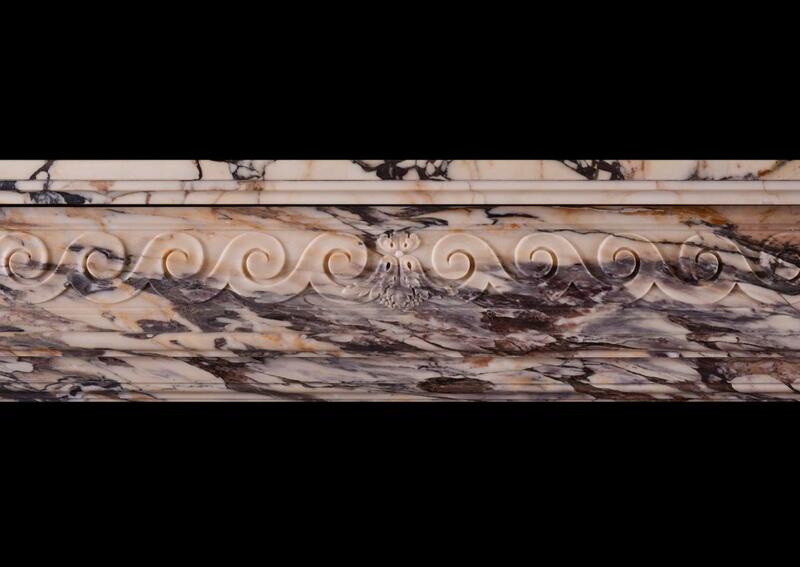 The jambs with fluted inlaid with carved husks surmounted by scrolled bracket and circular rosette to end blocs. French, 18th century. 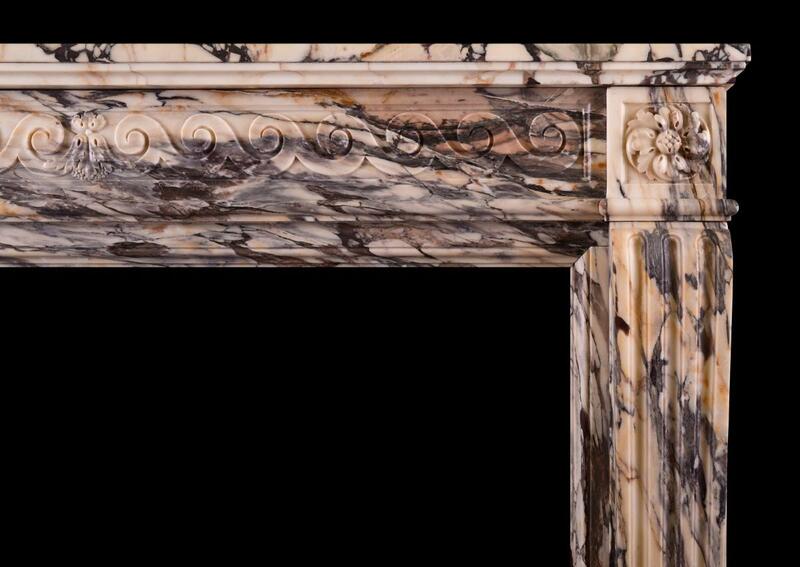 Striking Breccia marble, with a warm hue.